It’s critical to keep track of your clients’ performance. If you’re not already doing it, you should start. It’s a way to show them improvement over time on paper and a way for you to maintain records should anything ever go wrong. With this progress chart, you’ll have the ability to record exercises, reps/time, as well as anthropometric measurements you may do during check ins. And there is ample space in a notes section for any other relevant and pertinent information about the client you may need to write down. Additionally, you can list the client’s main goal(s) right at the top to keep you focused on the kind of programming that is going to help them best. Click the image to download. You can print as many of these as you need. Have you ever been asked to come into a company and do a fitness/health/nutrition/wellness workshop? You probably don’t know how to get your foot in the door. They usually want you to submit a proposal of what your services will entail. But, that’s a hassle to put together. It really is! This is just such a template for you to customize to your business and service and submit to companies in your area. It’s very simple, it’s done for you. Educational workshops are a great way to gain a bunch of clients all at one time. You can offer it free or you can even be paid by the company or employees for these types of workshops and they can be very enjoyable to do. And more! It is a complete and professional looking proposal you can submit to any company or HR person you have in your network to get into your local corporate environment. Imagine combining this with one of our done for you, but customizable powerpoint presentations. You’ve got a ready made workshop/seminar with very little work on your part. Click here to start offering corporate wellness workshops and programs immediately in your personal training business. If you’re new to the fitness industry or are thinking about making a career in fitness, I’m going to give you what you need to know. I’ve been there, I’ve done it and I’ve worked it from all sides as an employee, manager, and business owner. Starting a business can be tough. You don’t know where to start, what is required, and what to do in what order. For example, you can’t set up a business bank account to get paid until you have your EIN number. I have broken things down for you into manageable steps and in a logical order that will bring your business to fruition faster. This is how you’ll want to go about starting a personal training business. Why Personal Training? Decide if the fitness industry and personal training is for you. You can make your own hours, it’s relatively low barrier to get into, and you can make quite a bit of money. But, the hours can be odd or long, it may require a lot of driving if you work in a mobile fashion, and you have to recognize that you will have to market, sell your service, and deal directly with the customers day in and day out. Some or all of those points aren’t for everybody. Try to make a realistic assessment of yourself or visit some other professionals in the field and shadow them to get an idea of what it is like. Administrative. You’ll have to consider certification and education. Ideally, a degree in the field is possible. Training courses from reputable companies can be good. But, nothing is a substitute for experience. On the job training or an internship or a specialty school can be ideal as well. You’ll need to incorporate and establish a business entity unless you plan to operate as a sole proprietor. You will need to set up the appropriate accounts including state and federal accounts, to get an EIN number from the IRS, and to set up a business bank account at your bank. You may set up a merchant account and payment gateway there too to be able to take credit card payments. If you can afford to keep an attorney on retainer, do it. You’ll need one for any number of things your business may engage in. You will need liability insurance. This can be relatively cheap annually for good coverage. 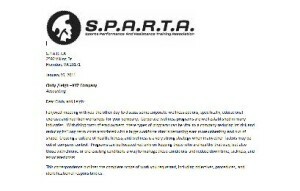 There are companies with specific health and fitness provider policies. You’ll need a bookkeeper and/or accountant or do it yourself the old fashioned way or with software of your own. We offer several options in the book. Personal Trainer Business Plan. You will need a plan. Especially if you plan to get funding beforehand. But, it doesn’t have to be a 30 page document. It can be scribbled on a scrap piece of paper and that’s better than no plan at all. But, you will want a clear mission and vision which will guide you daily as well as identify your strength, weaknesses, and threats (including competition) to your business now or in the future. Sales. You will have to sell your service to prospective clients. For that, you will need a proven consultation or trial workout process and your pricing structure laid out ahead of time to present to the prospect. Personal Trainer Marketing Plan. Your marketing plan will be how you let the rest of your network know about your business on an ongoing basis. You’ll identify the marketing channels in which you plan to focus, who your ideal client or niche is, and estimated costs and returns on campaigns that you implement. Prospecting for New Clients. Every trainer needs to constantly be prospecting for new clients. We tend to have very good retention in personal training, but nevertheless, clients leave or move away and you need to be able to maintain a reliable amount for a reliable income. The more clients you do have, the more referrals you are likely to have coming in. But, you don’t want to sit around and wait for that to happen, you want to be proactive about it and go out and find and meet those people. Operations. This encompasses how your business functions daily. What systems you need to have in place in order to deliver your service to your customers. It will include training clients, documenting their progress, but also scheduling, following up, performing assessments, and measurements. Your Real Estate on the Web. Getting your company’s website up and running can be a frustrating experience. Good web designers and developers are hard to find. Almost as hard as good trainers. A simple WordPress website (like this one) is somewhat of a standard and easy to manage on your own. You can make it infinitely more complicated if you like through a giant marketplace of additional plugins. Think of WordPress as your iPhone and plugins like new apps you can install to run on it for specific functions. Staffing. If you plan to run the company, but not deliver the service, or you need to expand and replicate yourself, you’ll need to hire good staff. You’ll need the right tools and forms to cover an employee’s life cycle from application to exit interview. Multiple Streams of Income. If you’ve been in business for some time, it might be good to think about other income streams. It can allow for more diversification making your business more stable and reliable should something happen and it can increase the bottom line. 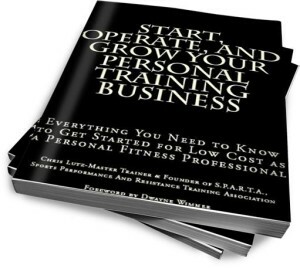 In the book we offer 25 additional revenue streams that are possible in a fitness or personal training business. If you’re considering starting a personal training business, please download my book and give it a read. I think you’ll find it extremely time saving. Enter your email below and we will send it right off to you. 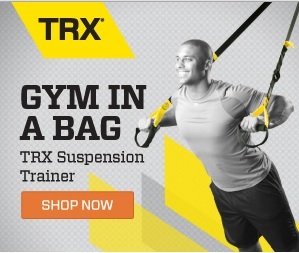 If you find it useful, you can find all of the tools immediately available in our personal trainer store.